In September 1979, Pike and Wayne Counties and the 14 townships in the Lake Wallenpaupack Watershed formed the Lake Wallenpaupack Watershed Management District (LWWMD). LWWMD was formed with the purpose of providing guidance in the protection and improvement of water quality in Lake Wallenpaupack and its tributaries. LWWMD is a 501(c)(3) nonprofit corporation and was the first watershed management district in Pennsylvania. They have continued to work toward improved water quality for more than thirty years and have proven to be a leader in the community and a model for success. 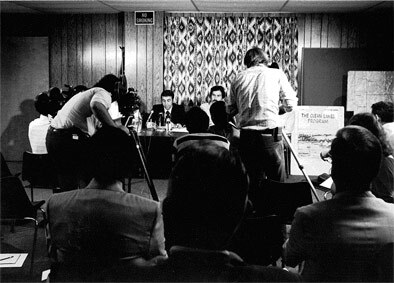 In 1980 and 1981, an initial Phase I Diagnostic-Feasibility Study of Lake Wallenpaupack was conducted to establish water quality and identify potential sources of point and non-point pollution inputs to the lake.The study concluded Lake Wallenpaupack to be eutrophic and recommended the adoption and implementation of a management plan to be coordinated by the LWWMD. Following the Phase I study, in 1987 a Phase II Lake Restoration project for Lake Wallenpaupack was initiated, which sought out and obtained funding for the development and implementation of a variety of Best Management Practices (BMPs) in the watershed. In 1990, the Lake Wallenpaupack Watershed Management Plan won the “Watershed of the Year” award from the Pennsylvania Association of Conservation Districts. It also won first place in “Take Pride in Pennsylvania”. The Phase II projects were completed in 1993. Since the Phase I Study, Lake Wallenpaupack has been monitored annually to establish water quality trends. Lake Wallenpaupack was listed on the 1996 303(d) list for nutrients, suspended solids, and mercury and was given high priority for TMDL development. The lake impairments are attributed to nutrients and suspended solids from agricultural runoff, and mercury from atmospheric deposition. In 1998 and 1999, the LWWMD received a total of $2,200,000 from two U.S. Environmental Protection Agency (EPA) grants. These grants were used for watershed investigations, the development of pollutant budgets for Lake Wallenpaupack, additional lake and stream water quality monitoring, public education seminars and workshops, and the design and construction of Best Management Practices (BMPs) throughout the watershed to control nonpoint sources of pollution to Lake Wallenpaupack. An environmental education curriculum developed for the Wallenpaupack Area School District under a separate EPA Section 319 Grant Project won the 1998 Governor’s Award for Environmental Excellence in Environmental Education. In December of 2006, an updated Watershed Management Plan was completed, through the EPA Grants and presented to the LWWMD. The Plan outlined existing accomplishments and made twenty-two recommendations for future action and priority areas. Many of the actions recommended in the plan are ongoing at present. In 2007, the LWWMD discontinued its relationship with long-time consultant, FX Browne, Inc. A strategic planning session was held in 2008 to aid in reorganization of the District and numerous recommendations were made. The plan addressed the mandates, stakeholders, capacity, mission, and future vision of the LWWMD. In late 2009, LWWMD secured Aqua Link, INC. of Doylestown, PA to compile all water quality data from 1980 through 2007 in one database for the purpose of analyzing long-term trends. They remain the District’s contracted consultant at present. In mid-2010, LWWMD acted on a key recommendation of the 2008 Strategic Plan and created a new Executive Director’s position. Nick Spinelli was hired in August, 2010 to fill the position. At the Board’s direction, Nick is continuing to carry out recommendations and goals made in the 2006 Watershed Management Plan and the 2008 Strategic Plan. Planning for future growth of the organization and improved protection of the watershed is ongoing.